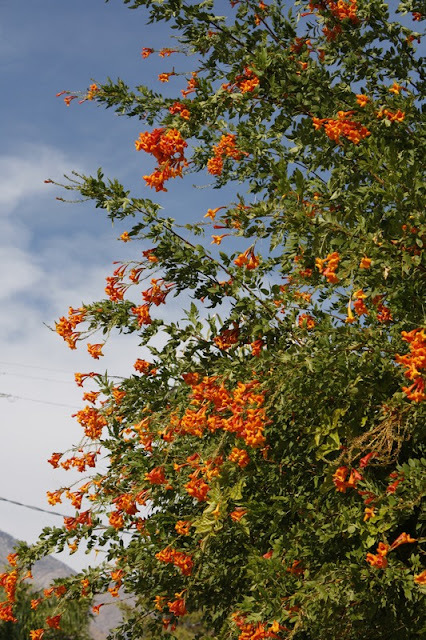 I love the many colourful plants that grow here in Palm Springs. One such group of plants, seen frequently, although not desert natives belong to the genus Tecoma. 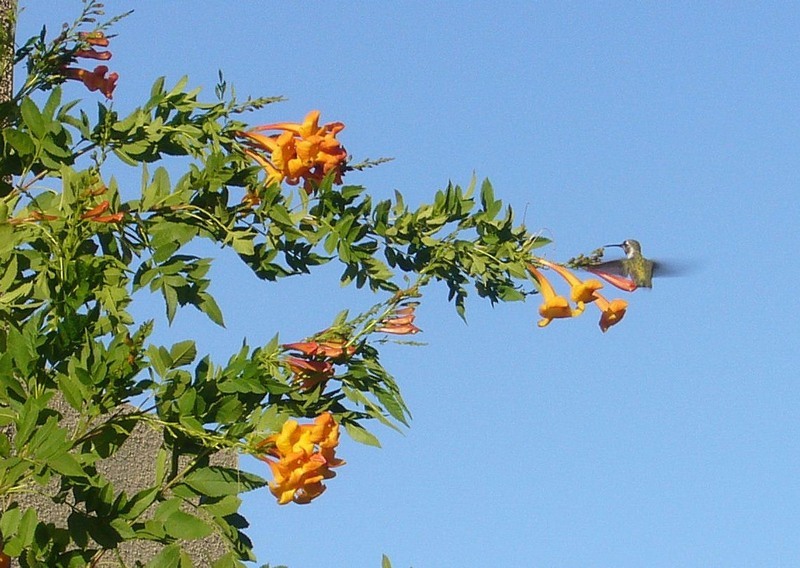 The various members of this genus are mainly colourful scrambling shrubs that flower freely and attract the humming birds and butterflies. 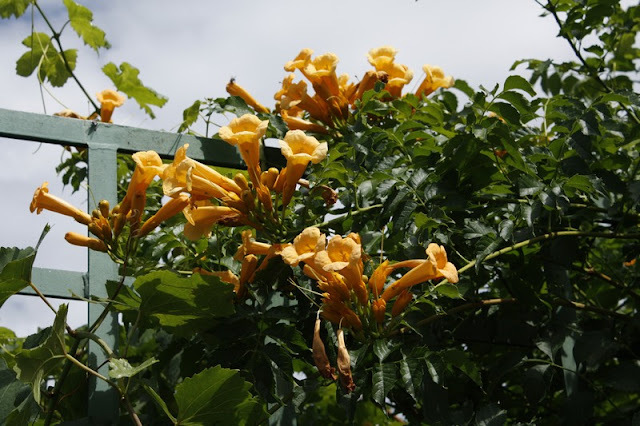 They belong to the family Bignoniaceae which includes such diverse plants as the large leaved Indian bean tree, Catalpa bignoniodes, the beautiful blue flowered Jacaranda and hardy herbaceous Incarvillea. Tecomas generally come from South America and have a rather lax habit so are often grown as wall shrubs. 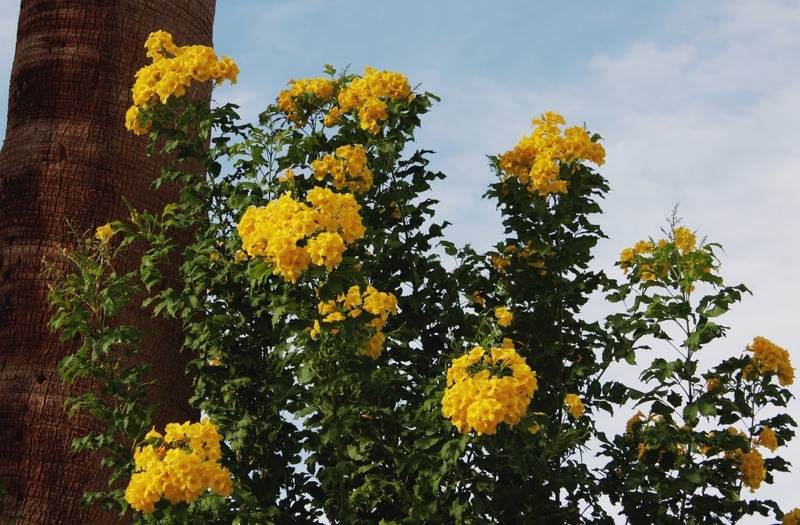 One of the most familiar here is Tecoma stans which if left alone will make a huge upright shrub covered in trusses of canary yellow flowers. 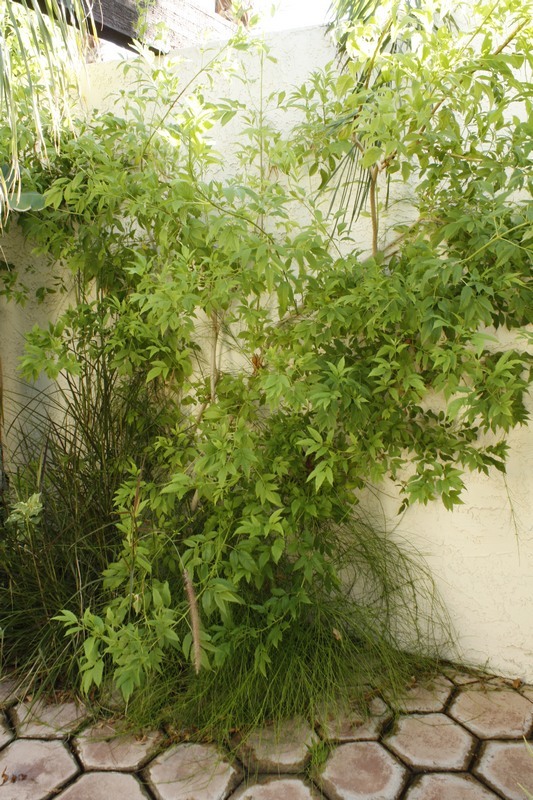 It was not successful in our yard as I think the space was too restricted but does well in many gardens. A nearby garden has a wonderful tall hedge of it which was flowering prolifically a few weeks ago but in the inevitable pursuit of tidiness they trimmed it - yes cut all the flowers off - unbelievable! 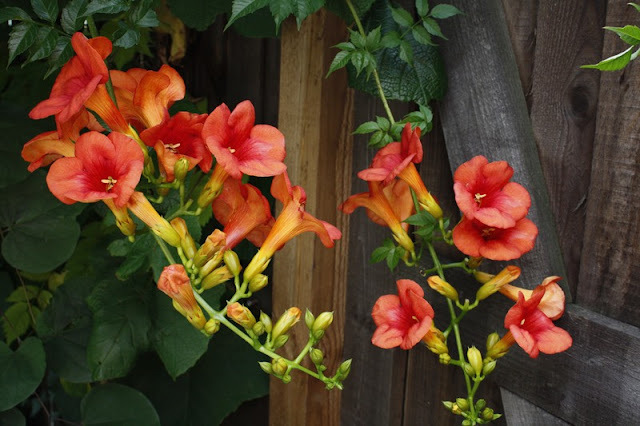 Tecoma stans - my yard - no flowers - it had to go! 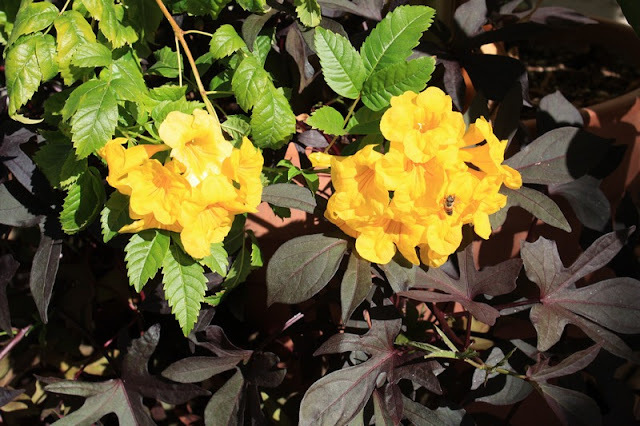 There is a compact form of it called 'Gold Star' which I grew successfully in a pot for several years. 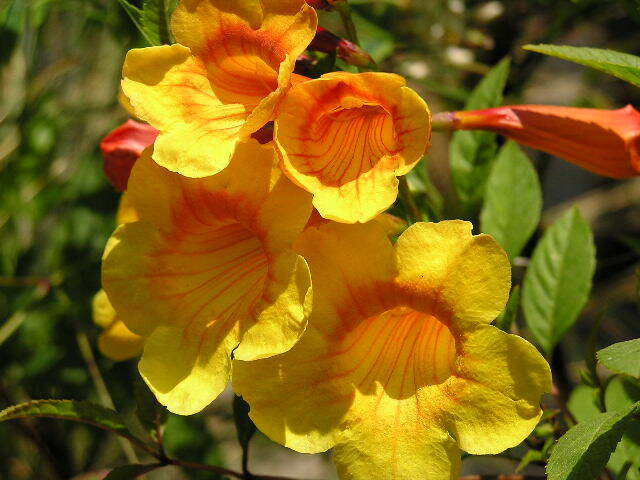 Then there are various hybrids generally within the yellow, orange, terracotta range. The closely related Tecomaria is a vivid tangerine in colour and Podranea which I have mentioned before, a bright sugar pink. All are tender and would be unlikely to survive the UK winter but just love the desert's heat, providing they are irrigated. If you don't have the warm climate and are feeling a little envious, try growing the very similar and related Campsis which is much hardier. Plant it on a sheltered south or west facing wall. Mine back in my UK Midlands garden has been thriving and flowering for many years and survived the tough winter a couple of years ago. 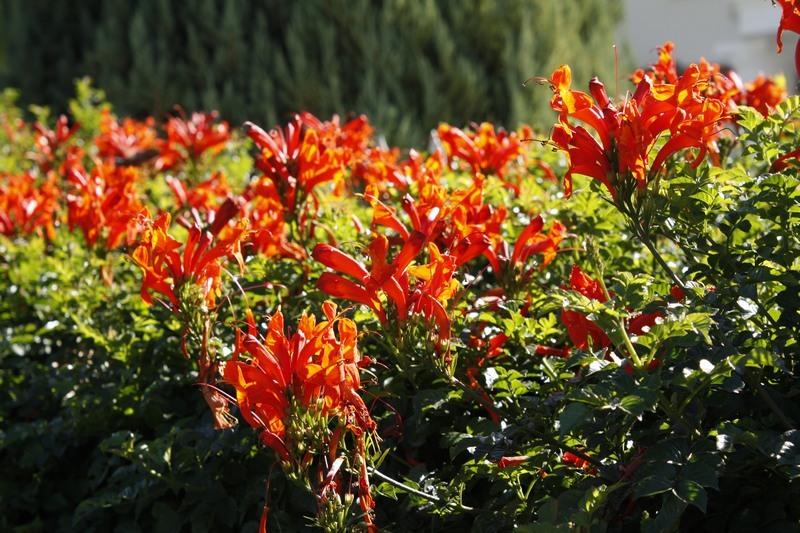 The red flowered 'Mme Galen' is the most familiar cultivar, freely available in garden centres. There is also a soft orange called 'Flava' which I haven't grown but appears to be similarly hardy. 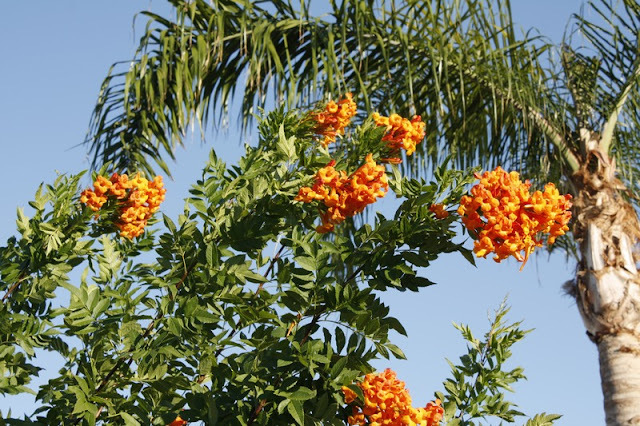 Hardy look-alike plants - that's often what exotic gardening is all about in a cool climate!